You know that owning a wooden yacht is an adventure, privilege, and a thrill. For all of that, you are unique, special, and maybe even a bit “soft”. You should be commended for “carrying the torch” of classic yachting. We salute you. 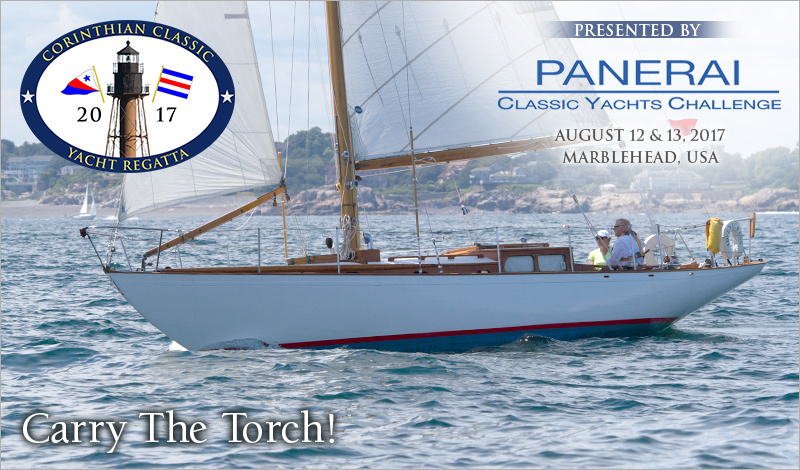 We encourage you to join us August 12 & 13 for the Corinthian Classic Yacht Regatta, presented by Officine Panerai, the title sponsor of the Panerai Classic Yacht Challenge Circuit. You belong at this event! New* Yachts that meet the North American Panerai Classic Yacht Challenge Series requirements for eligibility, are offered the opportunity to race under spinnaker. The season is short. Plan on making the most of your summer by registering to be a part of the Corinthian Classic August 12 & 13. Instructions to enter can be found on our website at www.corinthianclassic.org.